JAMF Software, the leader in Apple device management, concluded its global JAMF Nation User Conference (JNUC) drawing more than 900 members of the JAMF Nation community from over 19 countries around the world across the enterprise, education, and government verticals. 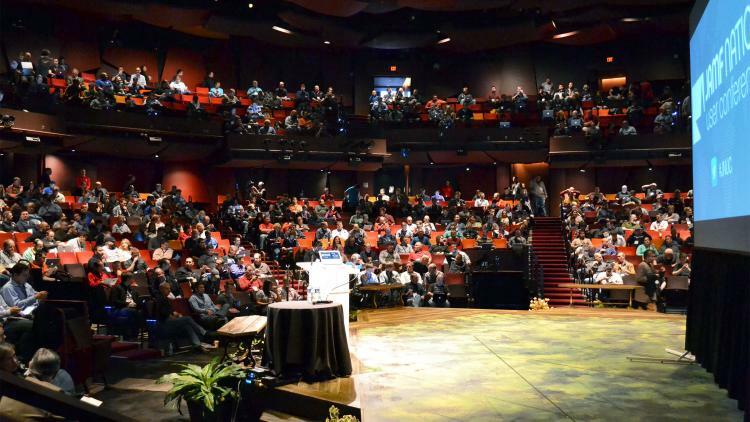 Held annually, the JNUC is one of the largest conferences solely dedicated to Apple device management. Each year, hundreds of members of the Apple IT community gather in Minneapolis to share best practices and learn more about emerging trends in the management of Apple technologies. An impressive line-up of speakers from leading organizations including Facebook, Genentech, Salesforce, Adobe and University of Oxford presented over 40 sessions, workshops and panel discussions. On the heels of OS X Mavericks zero-day support, JAMF is continuing to meet the needs of customers and prospects with the introduction of the JAMF Nation Device Reuse Program and Priceless Mobile Device Management (MDM) offering. The JAMF Nation Device Reuse Program is designed to connect organizations that stand to benefit the most with refurbished Apple hardware at no cost. With this new initiative, companies are able to donate and request Apple devices and JAMF helps find a new home for the hardware. Organizations looking to donate Apple hardware, or benefit from this program can find out more here. Announced today, JAMF is bringing 'Priceless Mobile Device Management (MDM)' to new and existing customers now through December 20, 2013. With every new software license purchased for a Mac, customers will receive up to two iOS software licenses for free. To learn more, click here.